CHRISTIANS TOGETHER FOR CHESTERFIELD: KNOW SOMEONE WHO NEEDS A BREAKTHROUGH? We know that every day is a day when God's power is at work in our lives for our benefit. Sometimes, though, to get a breakthrough we have to draw a line and step over it in faith, coming to God believing this is our day. If that's you, then this evening is for you. We will be praying for a breakthrough in your situation, for healing in body and mind and for those who want to know Jesus as Saviour and Lord. It's going to be an amazing time - why not invite your friends and come along? 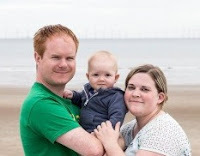 If you have no Sunday church commitment, Andrew will also be speaking and praying at our Sunday morning meeting on Sunday 6th March at the Winding Wheel and everyone would be most welcome.